Do you have a little golf enthusiast at home? Are you looking for some golf-themed coloring pages for your little Tiger Woods? Well then, look no further. Read our post for some lovely golf coloring pages for kids. Golf is a sport that requires players to use clubs to hit the ball into the holes on a golf course. It originated in Scotland in the late 15th century. Golf is one of the few sports that does not require a standard play area. Here’s a coloring image of a golf club. Players use the club to hit the golf ball in the game. 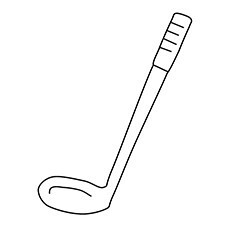 A golf club has a shaft with a grip and a club head. There are several types of golf clubs, a wedge, putter, and chipper. A club set has 14 clubs, and there are strict rules that one player cannot share his club with another player. 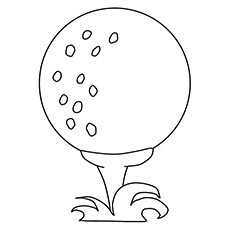 Here is one of the simple coloring pages of golf ball. A golf ball has to go through several tests and approval by the Royal and Ancient Golf Club of St. Andrews. With some imagination and a set of crayons, your child can decorate this golf ball coloring page in the best possible way. We would suggest you to make a proper golf course around the ball. 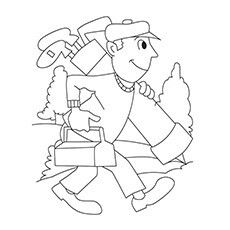 Here’s a great coloring page for kids who are going to play golf for the first time. This aspiring golfer is ready for his first tryst with golf. There is a strict distinction between the professional and amateurs. A professional golfer can never play amateur tournaments. Your child may take a few more rounds of golf after coloring this image. Make sure your kid has his green color pencils or crayons handy. He will need loads of them to color this golf course. 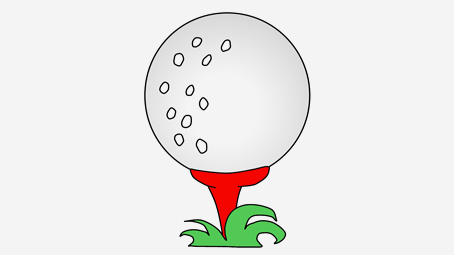 A golf course, as the name implies, is the ground where the game of golf takes place. It’s a large ground comprising of a series of holes, each consisting of a fairway and a teeing ground. A standard golf course consists of eighteen holes, and the subset has nine holes. 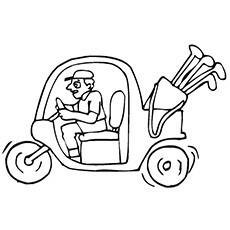 A golf cart is a vehicle designed to carry golfers and their equipment around the golf course. The cart can take a small number of people and travel at a distance of 24 kilometers per hour. 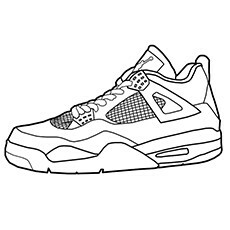 Children are free to add additional details to the coloring page. 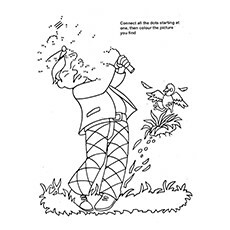 The golf coloring page will surely delight your child to bits. 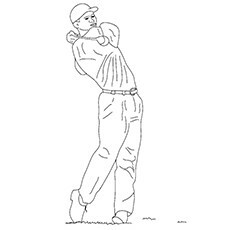 This connect-the-dot coloring page features a golfer striking the golf ball. But the ball will not move even an inch until your child joins the dots. So have your child connect the dots from 1 to 32 and then color the picture. Make sure he colors the bird as well. Tiger Woods is one of the most successful professional golfers of all time. He had an exceptional amateur career and a legendary professional golf career. He won his first tournament at the age of 21, winning it by 12 strokes. Your child will enjoy filling colors in his favorite player coloring pages and read a few facts about him. Here’s a coloring image of a golf shoe. No golfer can play the sport without wearing golf shoes. Let your child color it in any color he likes. 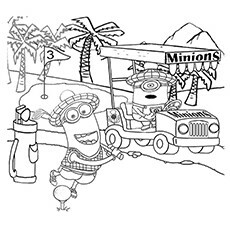 If your child loves minion and putt-putt, then the golf coloring sheet will surely appeal to him. Minions are small, yellow creatures from the film “Despicable Me” and its series of spin-offs. These funny creatures love playing golf in their spare time. The minions even have their unique golf course, where they hold tournaments from time to time. 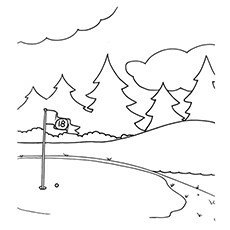 Here’s a golf coloring page to cheer your child on a dreary rainy afternoon. 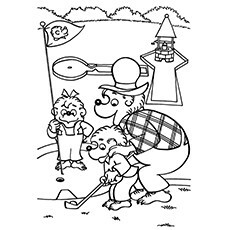 The coloring page shows Papa Bernstein teaching his children how to play golf. The little bear is making the final putt get the ball in the hole. This coloring page will get your kid all excited about the upcoming golf tournament. Our golf coloring pages are perfect for Father’s Day and Grandparent’s Day. Just click on the picture and print as many pages as you like. Or you can use the picture for making physical education projects. Which sport interests your child the most? Is it golf or some other sport? Tell us in the comment section below.